Cerastium arvense is a perennial herb, stems 15- 40 cm long, hairy to smooth, branched, often forming mat at base, flowering stems usually ascending. 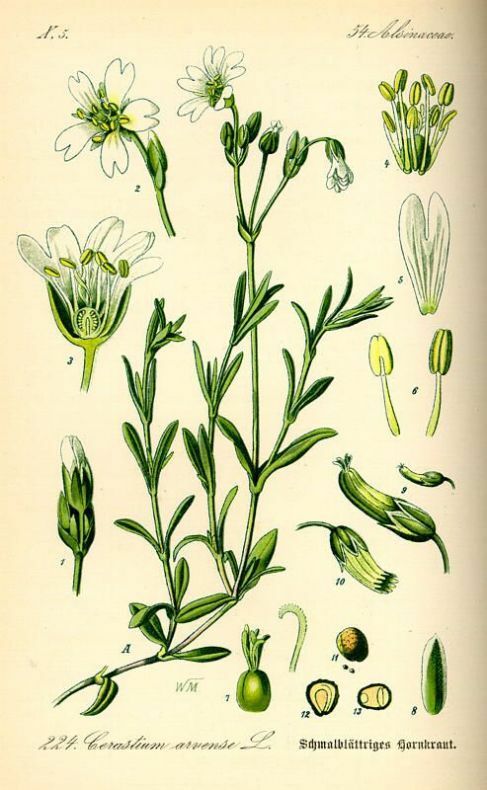 Cerastium arvense L. subsp. arvense leaves. (Peverina dei campi) Picture by Enzo De Santis. luirig.altervista .org (Accessed 12/2017). Leaves opposite, linear to egg-shaped, 2-7 cm long, 1-1.5 cm wide, usually with small leafy tufts in axils. Flowers white, petals 5, deeply 2-lobed, about 1cm long, 2-3 times as long as sepals, sepals 5, to 0.8 cm long, narrow, tip pointed, styles 5, blooms April-Aug.
Cerastium arvense. Acker-Hornkraut. flowers close-up. commons.wikimedia.org (Accessed 12/2017). Fruit a cylindrical capsule, tip opening by 10 linear teeth to release numerous, rounded, almost smooth seeds. 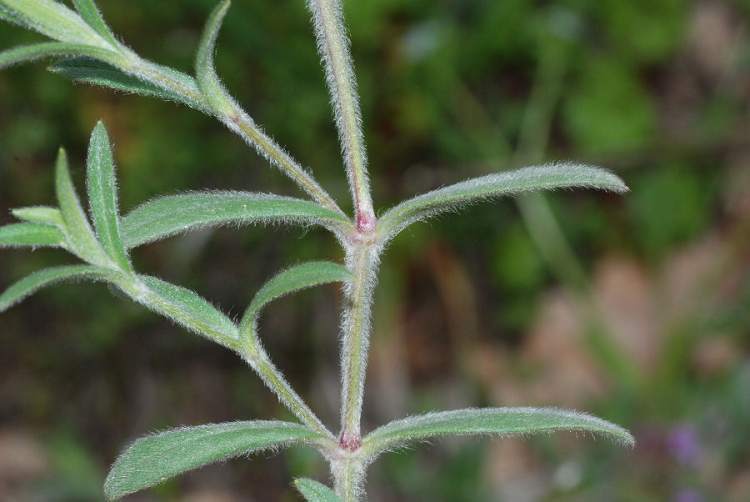 Habitat: Sandy, rocky soil, esp. on calcium rich soils, open areas, old fields. 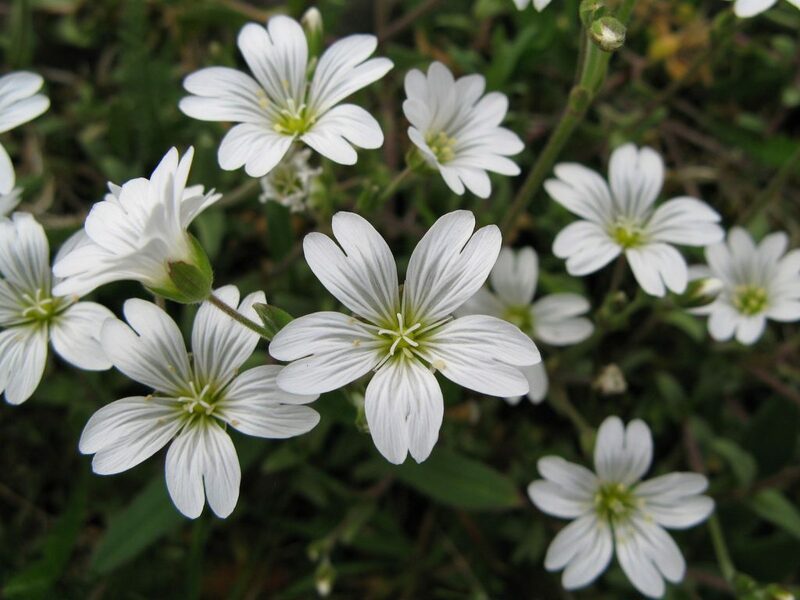 Very similar to Cerastium vulgatum, a non-native which has wider leaves with rounded tips.